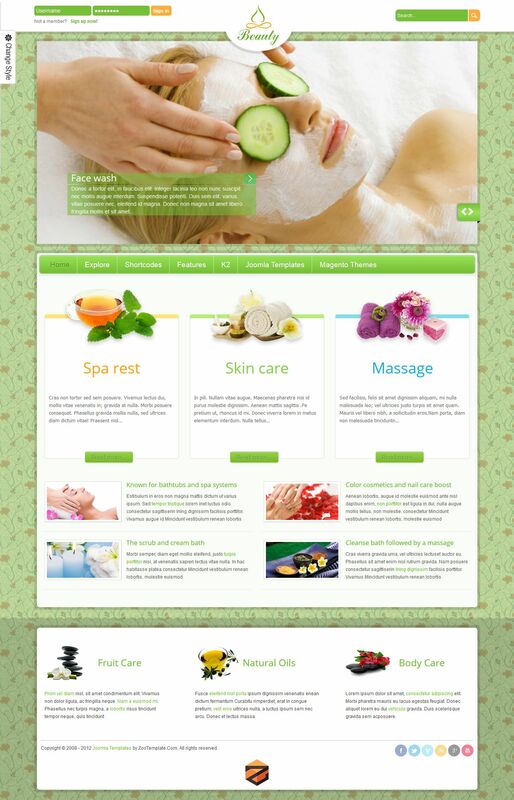 ZT Beauty - excellent template for Joomla 2.5 ZooTemplate developers to create websites of beauty salons, fitness centers, fitness clubs, portals dedicated to a healthy lifestyle. This template works on the framework, flexible ZO2 Framework, which provides full support for tablet and mobile devices. Layout design is presented in 3 color design options, allowing you to select the optimal appearance of the site. Built-in function Template Manager provides full access to all parameters: background color and links, font sizes and modular units, select the type of menu and more. To increase opportunities template developers have added support for the popular component K2.